I bought a couple of endive a few days ago with no plan, which usually means they get pushed to the back of the fridge and forgotten. 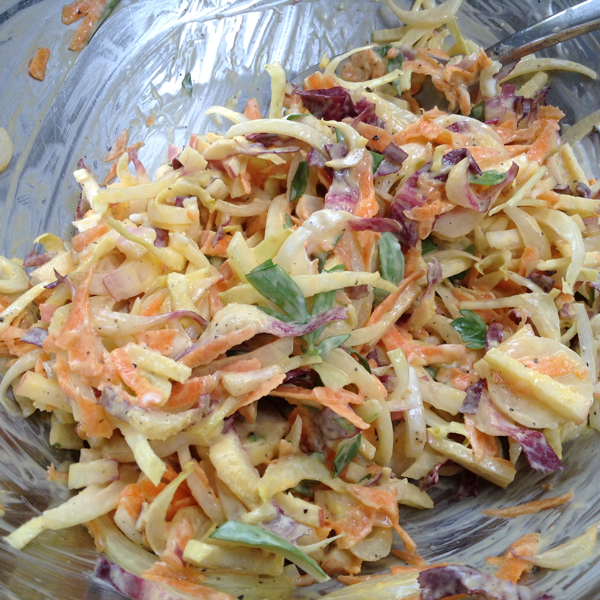 A month later I find the corpse… So rather than waste, we have slaw, and a delicious slaw it is. Toss everything together in a bowl and serve sooner rather than later. Endive is softer than cabbage and this slaw is better when it’s still fresh and perky.